Daniel from Bring Your Own Laptop once again brought us in to launch their New Zealand branch website from an old school non-responsive website into the 21st century. With the design being brought to us by Daniel himself, we jumped right in to re-coding the site to provide the users with a better experience for booking courses with Bring Your Own Laptop. 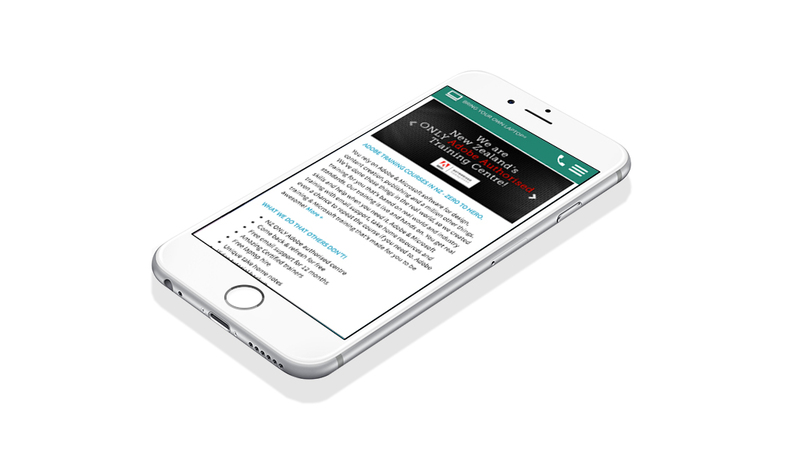 Before we completed the redesign, the course pages were nearly unusable for mobile and tablet users. They would have had to pinch and zoom in to be able to navigate the menu buttons, however this was nearly unusable for smaller screens. Now users browsing on mobile devices are able to easily interact and browse for the Adobe and Microsoft courses they choose and then book them. Exactly what Daniel was looking for.